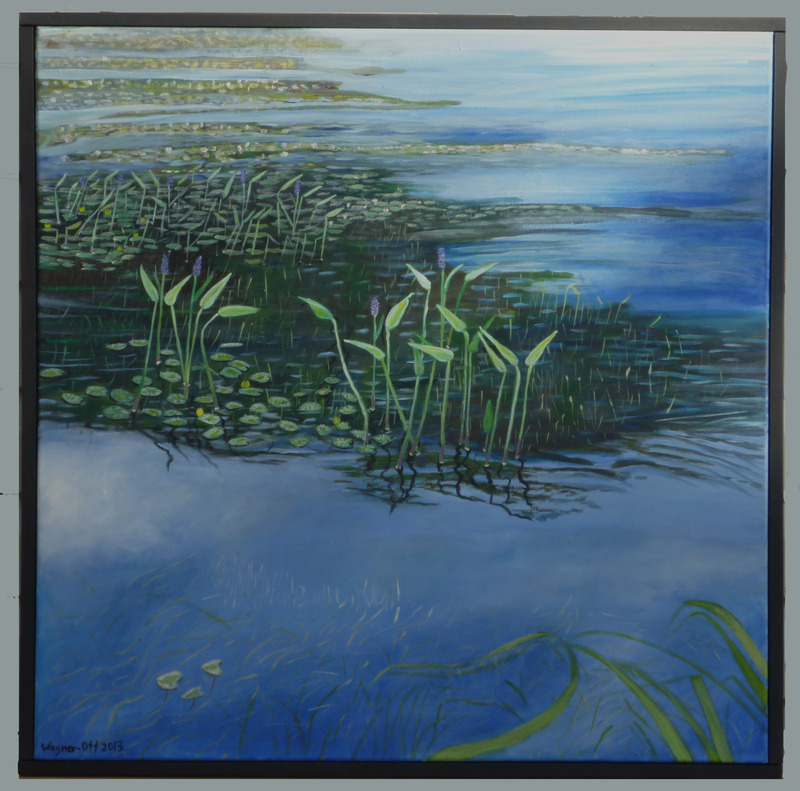 I am a painter and sculptor and have a studio beside a beautiful lake. For the past 40 years, I designed and built puppets, masks and sculptures and had solo exhibitions of these works. In 2013, I went back to painting and started working in encaustic. I am interested in issues of identity in terms of weavings as coverings to protect or to hide. The intersecting lines that I create over landscapes create an internal conversation versus the external between nature vs. nurture. Or how actual or psychological barriers erected in an environment can disrupt a cherished place. My engagement with woven structures speak to complex dialogues between identity and psychological barriers. My second passion is teaching. I try to encompass more than teaching my students art techniques. I encourage students to, not only learn the language of art, but to also engage in critiquing art. Additionally, we continually explore ways to enhance one's voice through art in relation to contemporary and historical issues. Encaustic adventures is a blog where not only processes and techniques are taught, but hopefully this sites will engage in a dialogue about the making of art, notions of voice, identity, themes, and ways to establish a body of work within an historical contexts. It did not turn out as I had hoped. I had an end product in mind and that was my first mistake. I am a sculptor and an acrylic painter and have been doing both for over the last 40 years. See images of my work on http://www.flickr.com/photos/annawagnerott/.‎ So, I thought that I could just take an idea, my water plant series, and reproduce this series in encaustic. What a big mistake I made. What a struggle with the wax. Acrylic paint is so fluid and one can easily overlay one colour over the other colour. But, I have to remind myself that I have painted for so long and have never worked with this wax medium. I have to keep reminding myself that my acrylic paintings were awful when I started them. So, this will be a learning curve and I have to just go with the flow. What I am after, I think, is a smooth coat of wax over another smooth coat. My first attempt was so messy, waxy and lumpy. I added oil paint as a wash over the surface and more layers of wax. No way was the wax going to perform for me in the way that I wanted. So, here is my first attempt at the process. Another issue is the size. My paintings are large and I am working on a 7″ X10″ surface. The wax is contained in that small space. The encaustic iron will be used next and will see how that works. I think the trick is to just use a few thin layers of wax that I build up on top of each other and not use so many layers. The other option is to use a light handling of the brush, heat gun and iron. I think I am pressing down too hard. Will just keep at it. Ok, I followed the procedure this time and the wax came out perfectly. I made these cupcakes out of wax in large and small sizes. I can now go onto the next step and make some coloured wax with my oil paints. 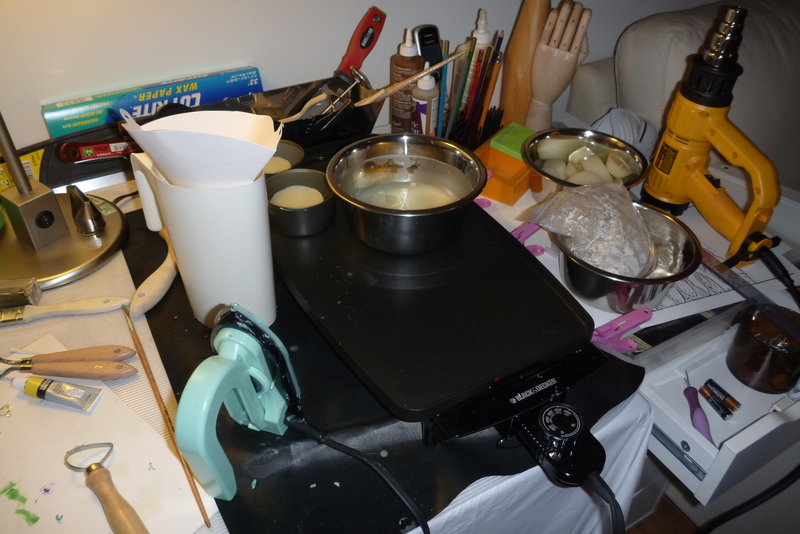 This picture shows my wax melting set up. I have the thermometer and my electric griddle surface to heat the wax. I set the temperature at 200 degrees. This is my small footprint in my second bedroom/guestroom. I hope we have no visitors over the next few months. All the equipment has been purchased and you can see my wax cupcakes made. What a mess this medium is and I am not sure that I will be able to continue with the process. I have to find a way to create the artwork in small steps because I can see that my area will become so overwhelming with materials and wax works. If this works and I am successful with the end products then I will be happy. I hope I don’t give up on this adventure. Today I prepared my surfaces for my paintings. I glued on the bristol board paper and prepared my beeswax and damar resin concoction I cooked 1 part resin to 8 parts of wax. That was the recipe percentage that was recommended on most websites on Encaustic techniques. But, what a mess I made. I looked on YouTube for a recipe and found a few that said “melt the wax first and then add the damar resin into the wax”. One site said to first melt the resin in an Electric Frying pan until it is melted and then add the wax. So, I just went with Jon Peters’ recipe (see link below). Peters did such a great job showing the following steps: First crush the darmar varnish into powder with a mallet. 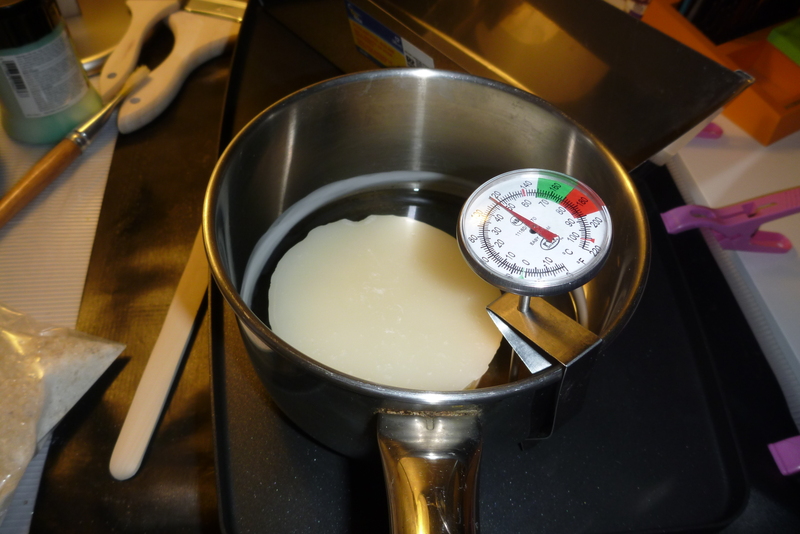 Then, melt half the wax in a electric pot and add the resin after the wax is melted. Then, strain the wax into another container. Put the now clear wax back into the cooking pot and add the rest of the wax. Keep the temperature between 180 – 210 degrees. Well, I did not wait but added the resin before all the wax was melted. The damar became a glob of hard sticky substance and took forever to melt. I must have stirred the wax medium for over an hour and the damar resin was still in its crystal gooey state sitting on the bottom of the pan. I should have listened to Jon Peters who showed the steps which seemed so simple. The trick is – the darmar resin needs a higher temperature to melt and the wax needs a lower temperature, so that is why one should melt a smaller amount first. It is amazing how I never follow a recipe but always make these “creative” subtle changes and then regret the changes at the end. 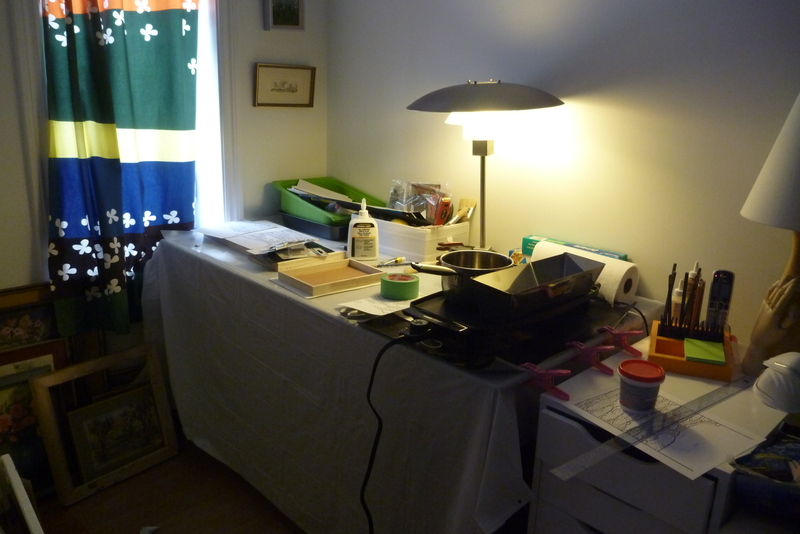 My Encaustic supplies have been purchased and I have set up a small area in my second bedroom. I live in a condo and have a bedroom that I made into a multipurpose workroom and TV room. So, I only have a small property of space for a table and my supplies. I got the hot plate set up with small metal containers and a larger pan for melting the beeswax. I ordered my beeswax a while ago and still am waiting for it. The supplies are coming from http://www.waxworksencaustics.com. 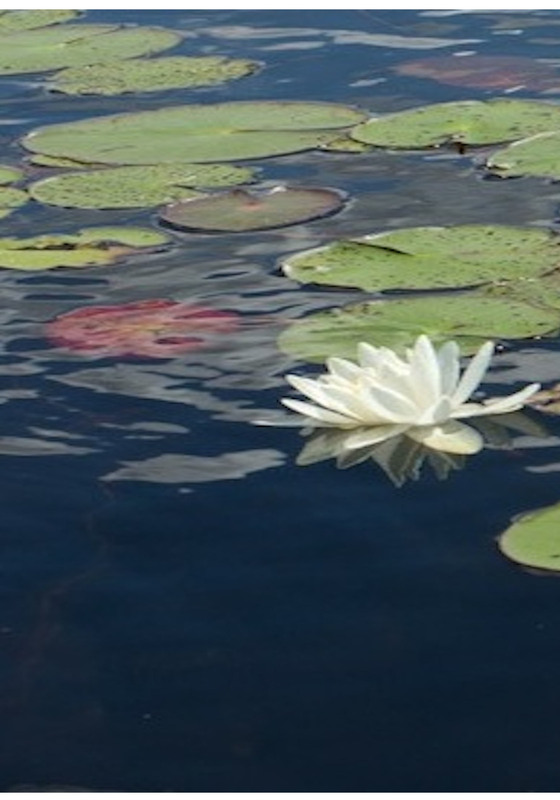 I also have the following picture that I took of waterlilies that I saw on the shoreline of our lake. I have turned it into a black and white copy and split it into 4 sections. From this picture I have made a black and white copy. A Black and White copy of the original. All four sections were put into Photoshop and made into Black and White studies so now i have the pictures to use as starting points. I will be trying each section out in different encaustic techniques. So, I hope they work and that I don’t get too frustrated. I will share my progress as I work through the ideas. 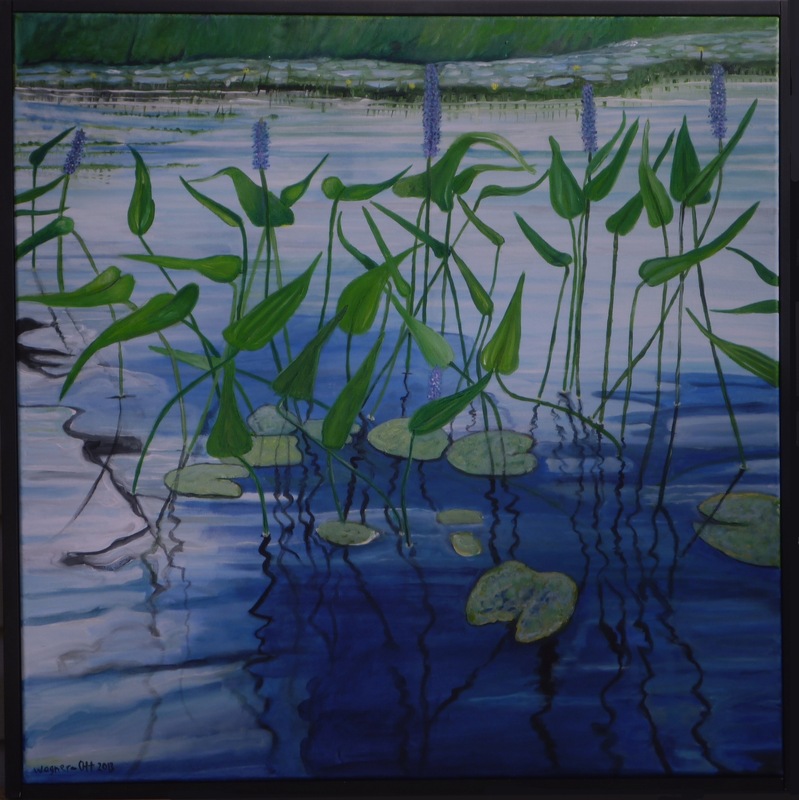 I have been painting on canvas with acrylic paint but have not tried encaustic so I want to redo these painting in encaustic wax in smaller versions and practice the techniques of creating water plant forms out of wax mediums. This will be the second pickerel painting that I will do in encaustic. 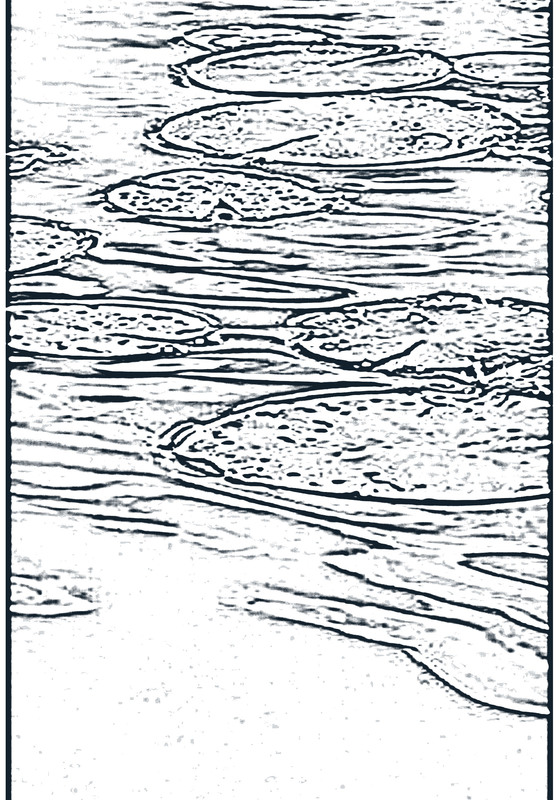 I will try to practice getting a water like texture onto the surface with different thicknesses of wax. 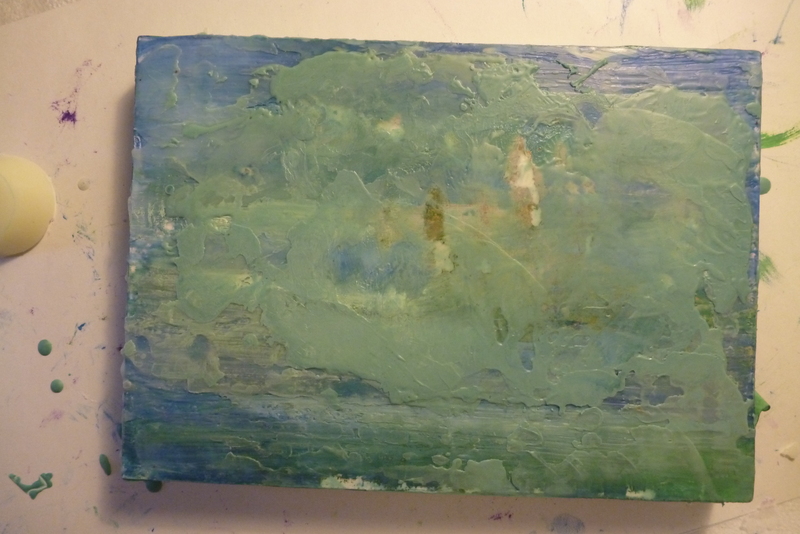 I am beginning a new adventure into the realm of Encaustic Painting. I have spent the past few weeks just looking at a lot of websites and looking on YouTube for ideas and techniques. It is a fascinating medium and I will be trying to create new artworks using a layering of beeswax onto a pourus surface. The first thing I did was to make a list of all of the supplies that I will need. I need to buy filtered white beeswax so I ordered a pound of beeswax online from a distributer for Encaustic Supply Canada . The other supplies I will be buying at various locations, such as the Dollar Store, Walmart, Home Depot and DeSerres. Here is the list that I have made so far. heat gun, bristle brushes (Hake style) a small, medium and large. small metal containers to hold coloured waxes, larger cooking pot to hold the beeswax medium. birch panels to paint on, long tweezers for picking up small collage materials, oil paint sticks, scraping tools such as pottery tools, iron for melting wax, painters tape to seal the sides of the cradle, rubber gloves, sketch book for ideas. So, this weekend I will be off buying my supplies. So, next week I plan on starting smaller works and practice all of the steps that I have learned in my Encaustic book that I purchased recently.